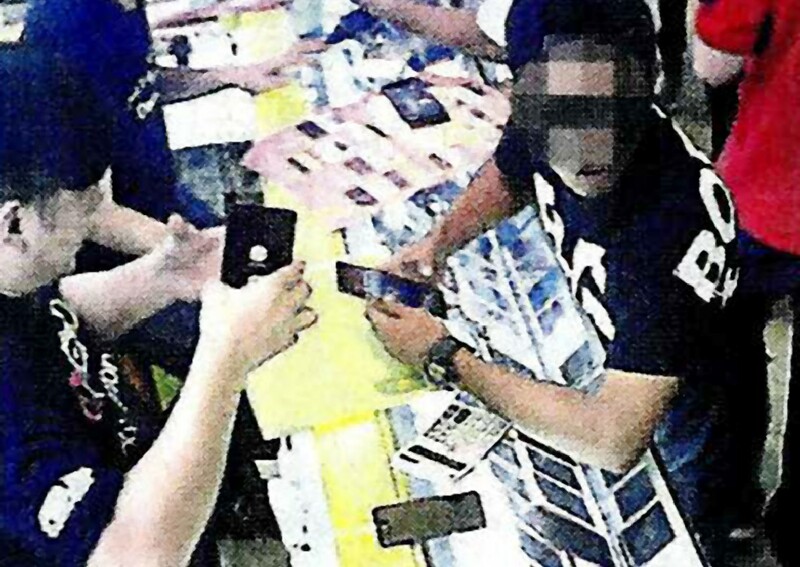 KUALA LUMPUR: Three mobile phone salesmen, who beat up a jobless man for shoplifting in Low Yat Plaza last month, were fined RM1,800 (S$458) each for committing assault. In the event that they do not pay the fines, the court also meted out a default jail term of two months for each of them. However, they paid the fine. Magistrate Muhamad Faizal Ismail sentenced Low Leong Seng, 29, Eric Chan Weng, 23, and Soo Weng Hing, 26, after they admitted to the charge on Monday. 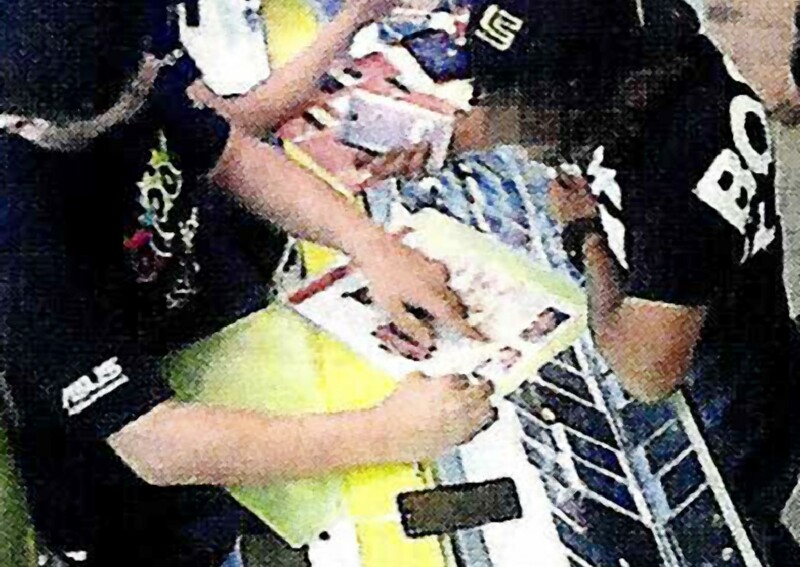 The three men who work for a telecommunication shop committed the offences following the purported shoplifting incident on July 11. 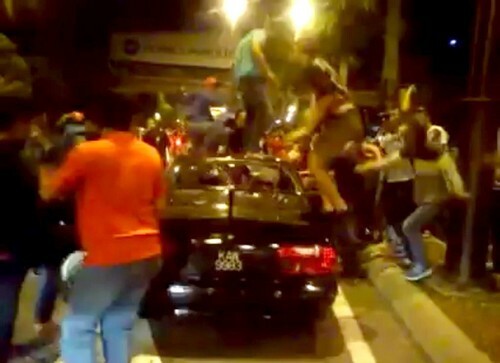 Low, Chan and Soo were jointly accused of causing injury to Shahrul Anuar Abdul Aziz, 22, at Level G in Plaza Low Yat here. The statement of facts showed that complainant Mohamad Khairul Azmi Mazlan went to a handphone shop in Low Yat Plaza to look for his handphone. His friend Shahrul Anuar followed to help in the search but they failed to find the device. 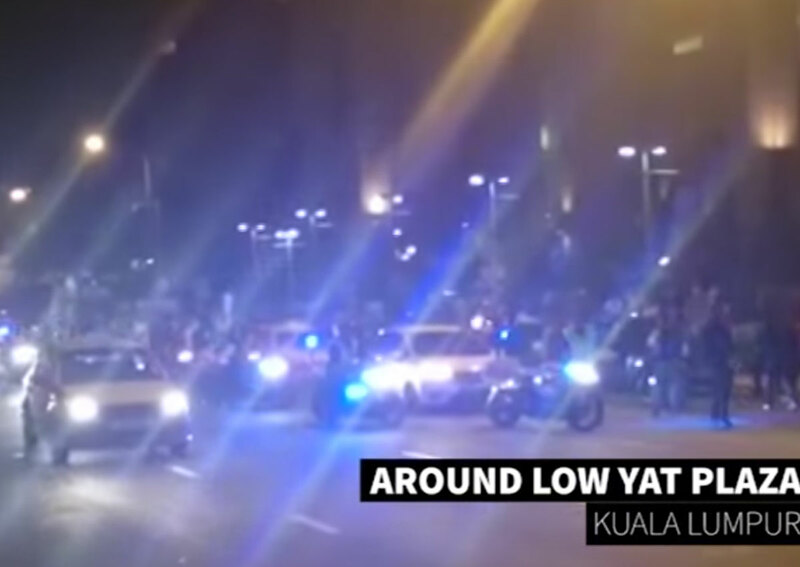 The string of arrests continued in the wake of the Low Yat Plaza incident, with blogger Papagomo and, in a surprise move, Bagan Umno chief Datuk Dr Shaik Hussein Mydin, detained for inciting racial tension. The blogger, whose real name is Wan Mohd Azri Wan Deris, was arrested by officers at his home on Tuesday night, said Inspector-General of Police Tan Sri Khalid Abu Bakar. Also arrested previously were Malaysian Armed Forces Veterans Association president Mohd Ali Baharom aka Ali Tinju and two young men - one of whom has been charged in court with stealing a smartphone. The other is said to have claimed later that they had been cheated by a dealer. Papagomo has been remanded for four days while Mohd Ali is being held until July 16. Police will seek to extend his remand. In BUKIT MERTAJAM, Shaik Hussein was arrested minutes before his press conference on the Low Yat brawl outside the police headquarters. When the former Penang Umno Youth chief arrived at the police station at about 1.45pm accompanied by state Umno secretary Datuk Musa Sheikh Fadzir, he was detained by two policemen. Click on to find out more about the background of the brawl. 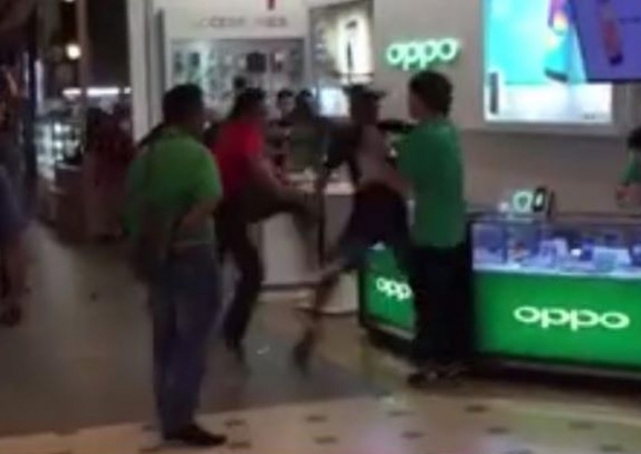 A melee erupted between thugs and sales clerks in a smartphone shop at Low Yat Plaza. 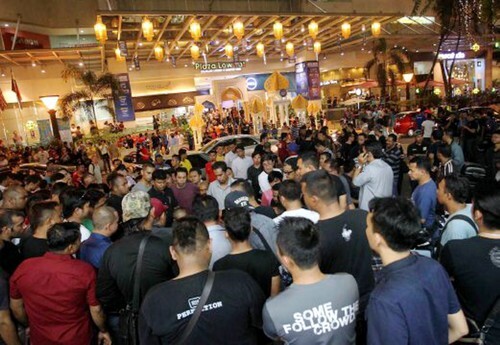 A group of youth returned to take revenge against the retailers who caught them shoplifting earlier on Saturday. 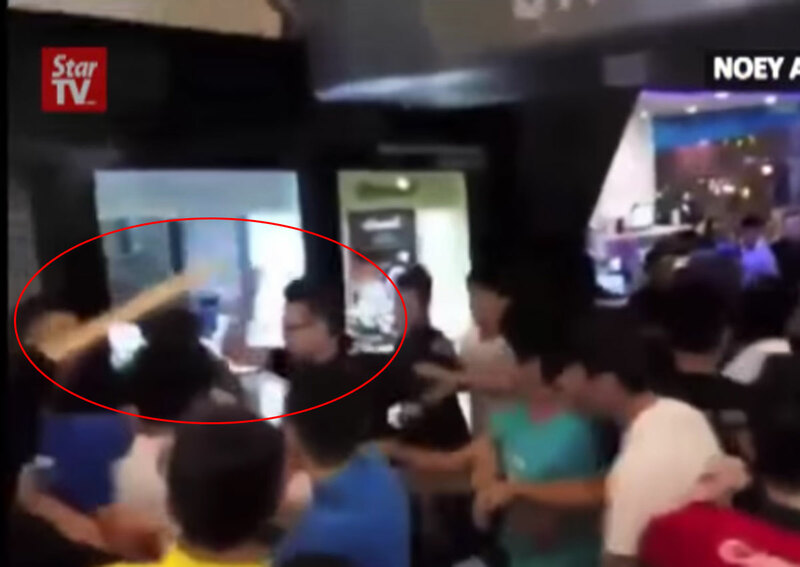 The scuffle was caught on a video that had gone viral on social media. 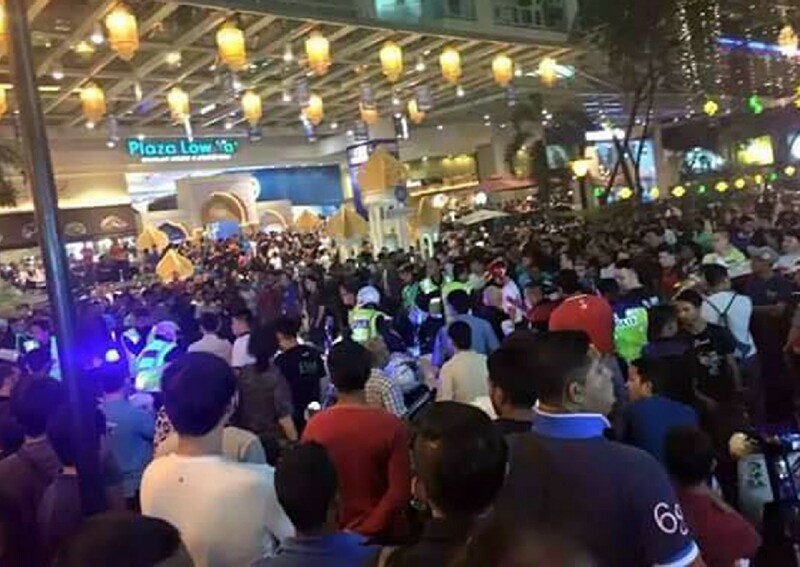 The 7.50pm commotion also brought the popular tech shopping mall to a standstill. 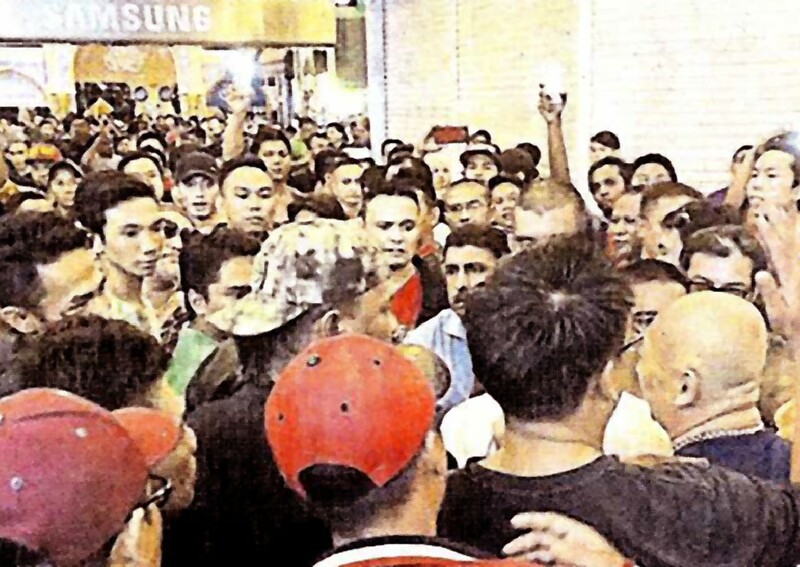 An eyewitness said a group of 50 to 60 men barged into a food outlet near the shopping mall and assaulted the patrons with motorcycle helmets at around midnight. At press time, it is believed that the police have detained six individuals involved in the mob attack. Two Federal Reserve Unit vehicles were deployed at 1am, Monday. 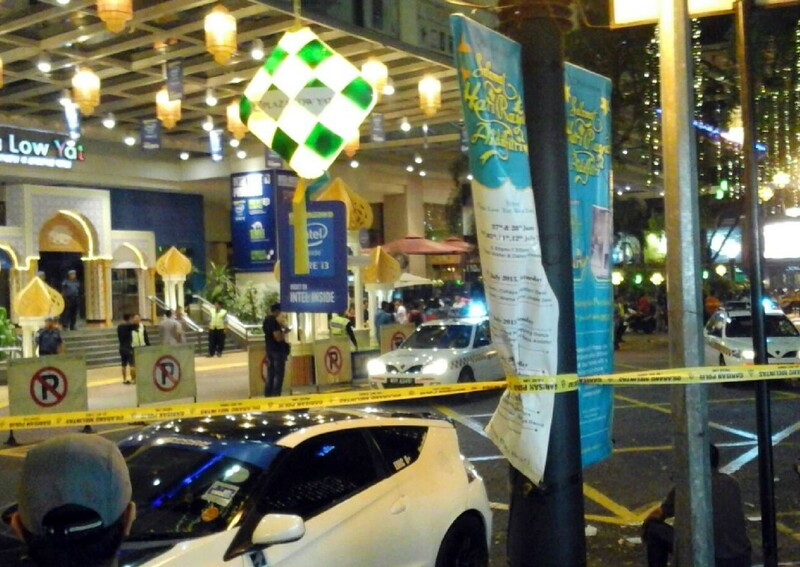 Police have cordoned off the main road entrance to the shopping complex. 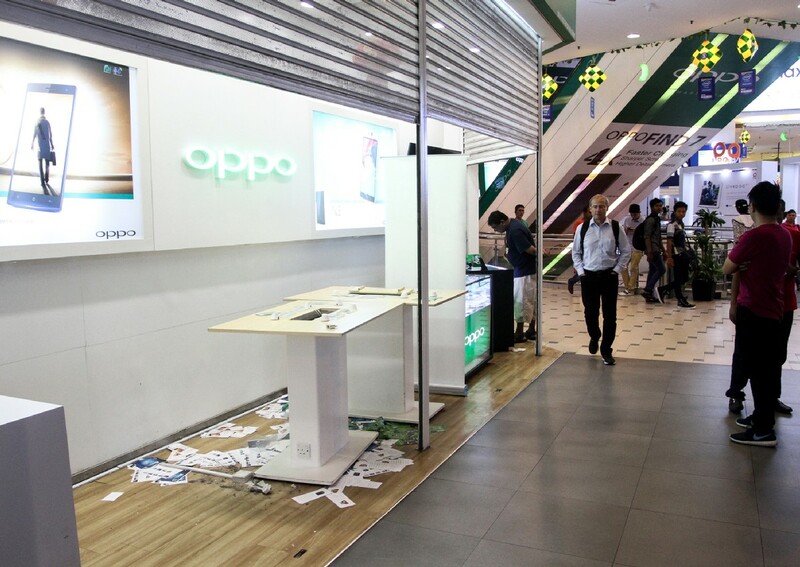 The aftermath at a smartphone shop at Low Yat Plaza in Bukit Bintang where a huge brawl broke out on 11 July 2015. 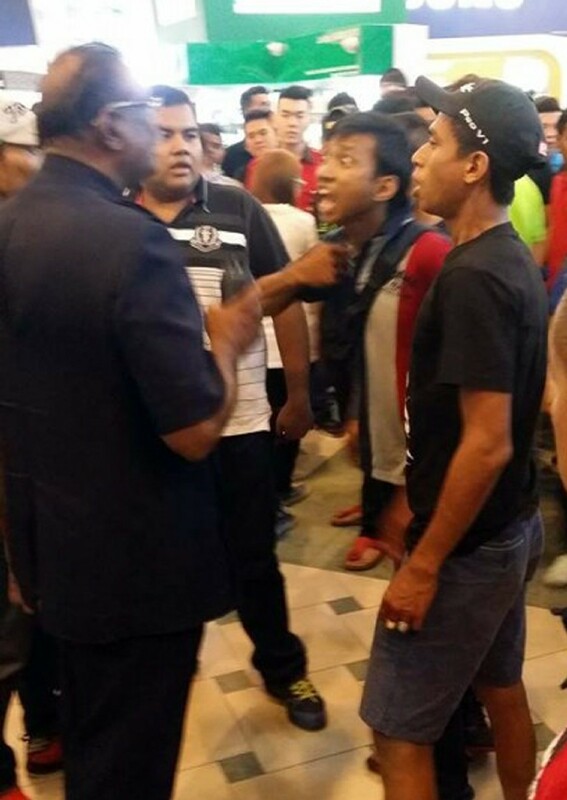 The ruckus which broke out between thugs and sales clerks at a smartphone shop in a shopping mall here was not racial in nature, said Inspector-General of Police Tan Sri Khalid Abu Bakar. 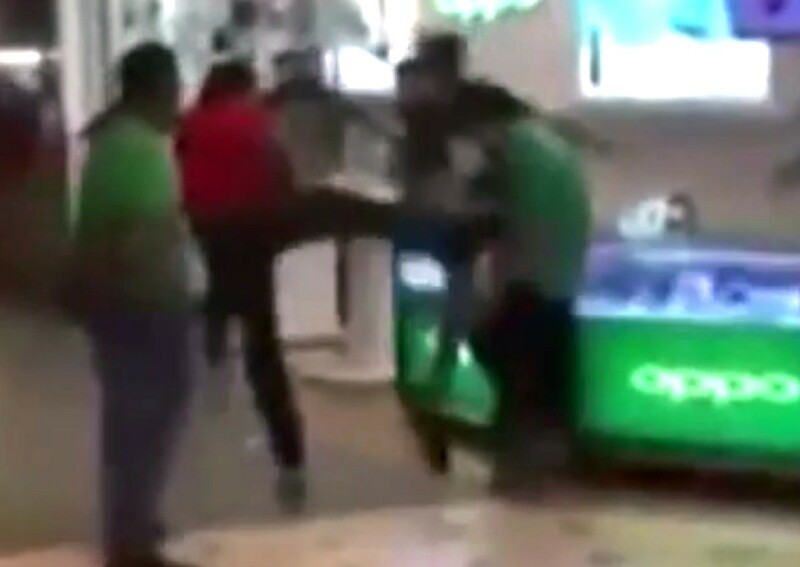 Some commentators on social media claimed the brawl was due to one of the youths being sold a fake phone, but this has not been verified. 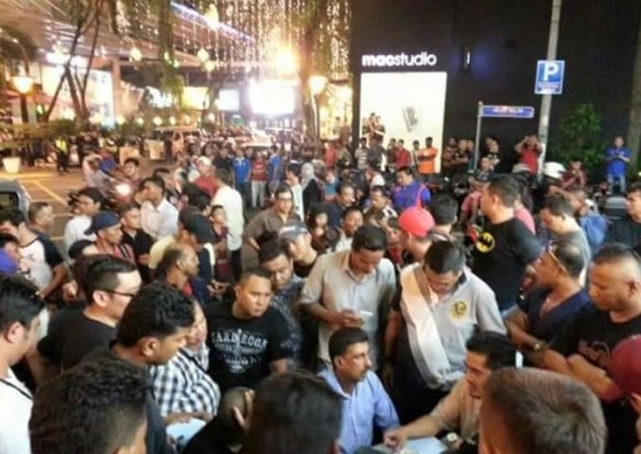 Yesterday, a group of about 100 people gathered at the plaza at 6.30pm in an apparent continuation of Saturday's fiasco. 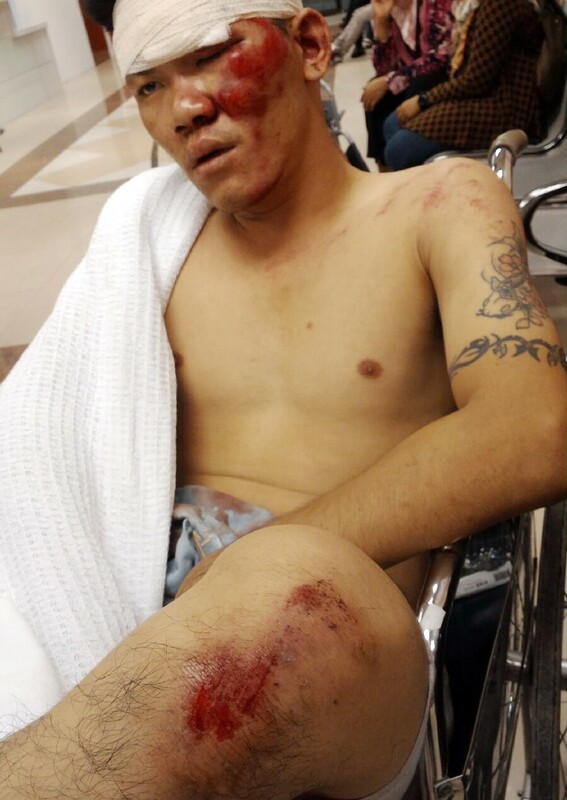 Kuala Lumpur CID chief Senior Asst Comm Datuk Zainuddin Ahmad said four people, including a 22-year-old man believed to be one of the thugs, were detained. 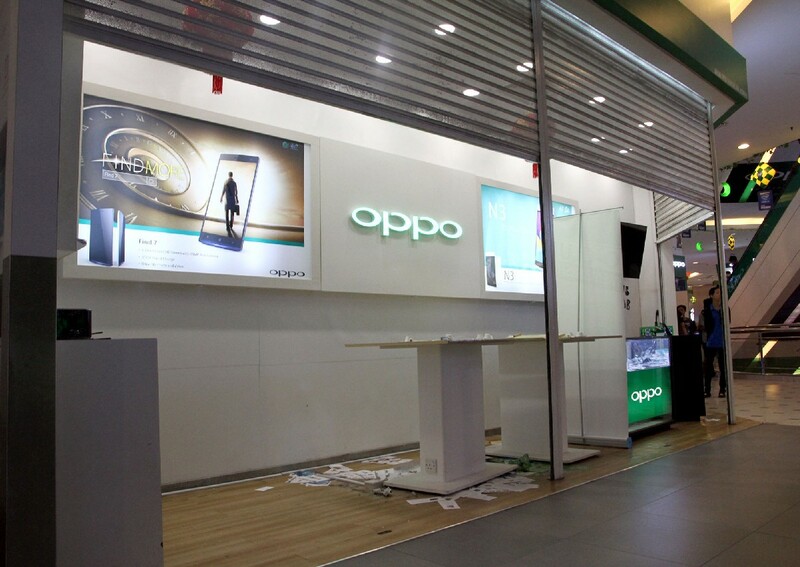 Police are also believed to be searching for four others said to have caused damage amounting to around RM70,000 (S$25,000) at the handphone shop. 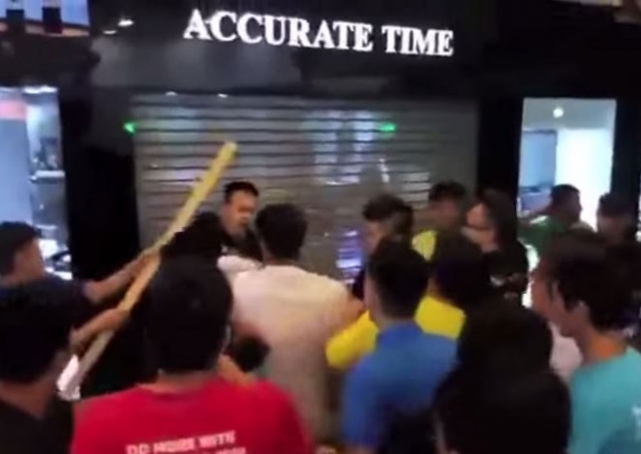 MCA Youth chief Chong Sin Woon said the public should stop spreading videos of the scuffle that could cause racial tension and spread hatred among the people. 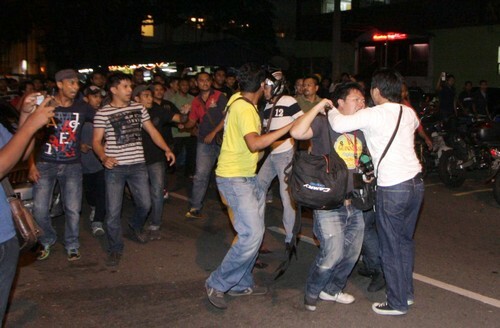 At about midnight, a group of men attacked several members of the media who were covering the incident. 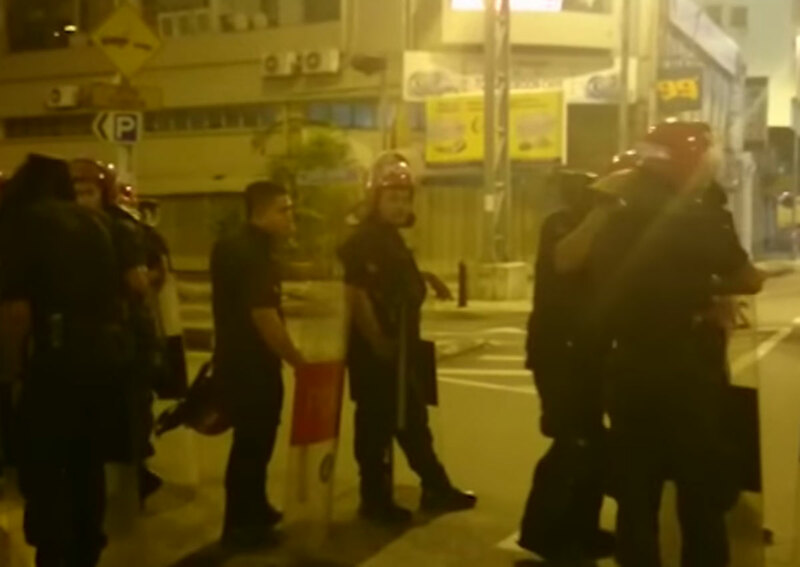 Five people were injured, including two reporters and a photographer. 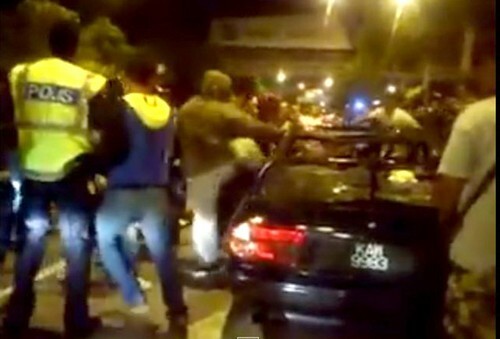 The injured were treated by paramedics before being sent to the KL Hospital. At press time, a Federal Reserve Unit team in two trucks had been deployed to the scene to control the situation. Mohamad Khairul, 22, and Shahrul Anuar then split up. 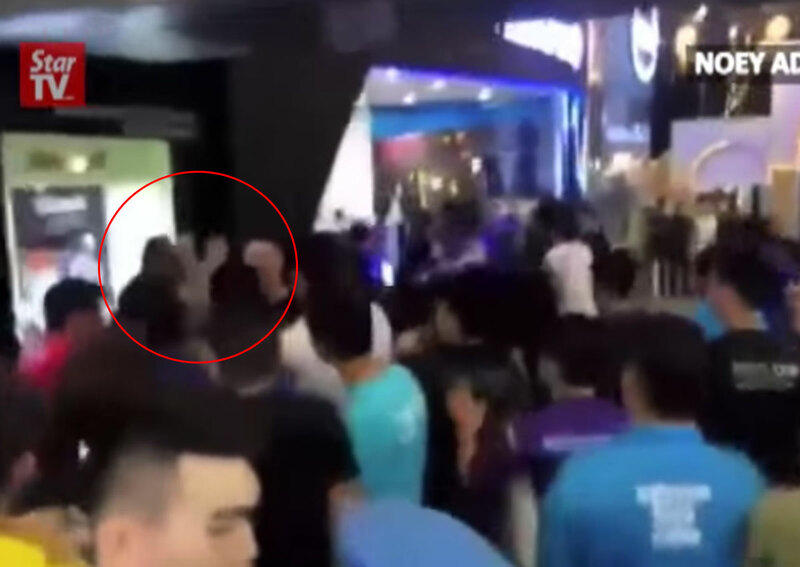 He went down to the ground floor via an escalator when suddenly he heard a commotion and people shouted that a man had stolen a handphone and asked people to nab the person. 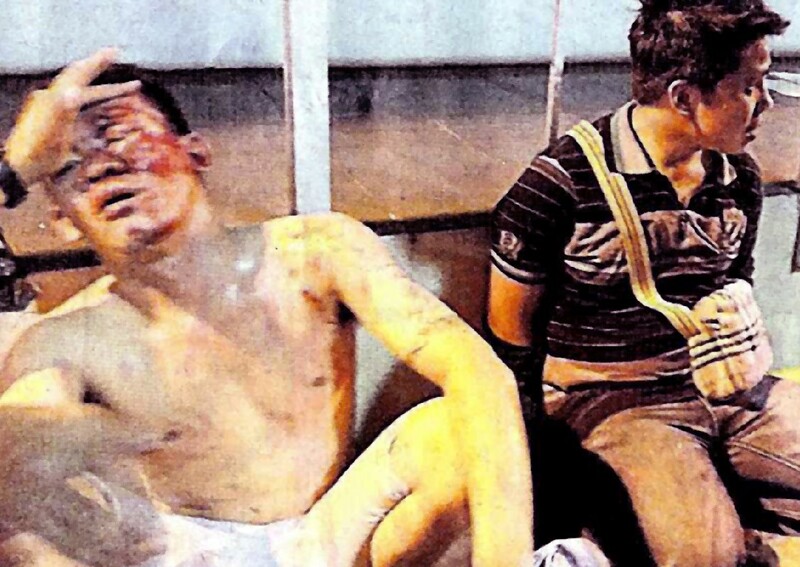 Upon reaching the scene, he saw Shahrul Anuar was beaten by a group of workers and tried to help his friend. 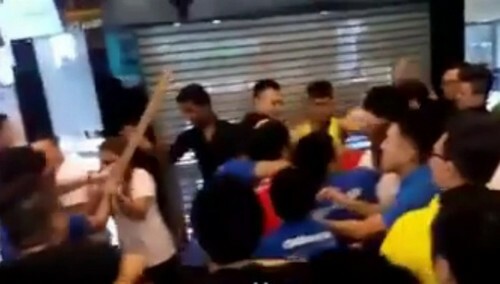 Instead, the group had accused him for abetting Shahrul Anuar and began to beat him. In asking for leniency, the trio who were unrepresented, said that they were the youngest sons in the family and need to support their parents. Deputy Public Prosecutor N. Joy Jothi urged the court to mete out an appropriate sentence as the case has attracted nationwide interest. 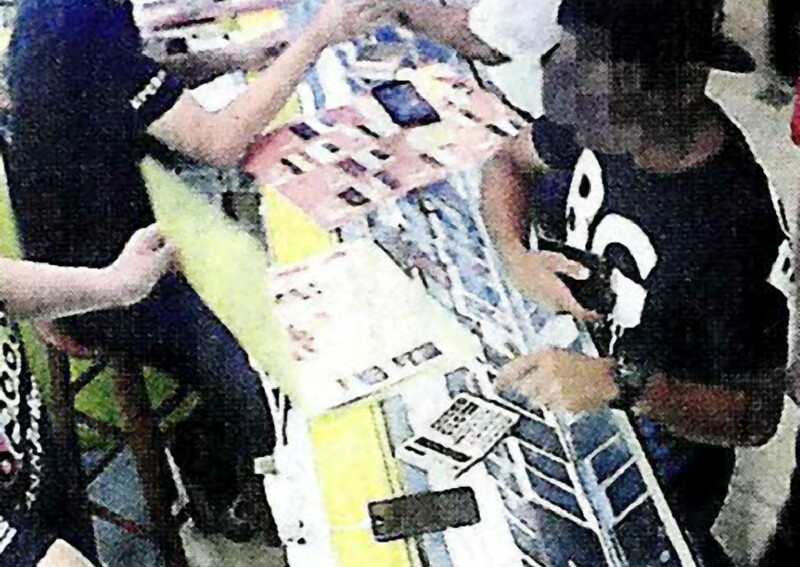 On July 14, Shahrul claimed trial to stealing a Lenovo S860 smartphone, valued at RM800, from a shop at the plaza. His case was fixed for mention on Aug 14. 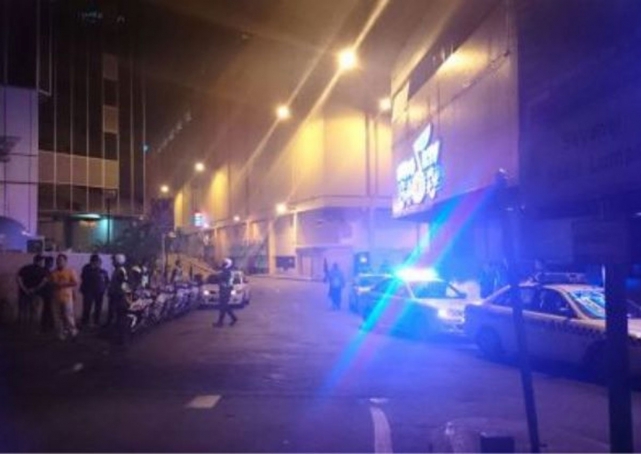 Following the July 11 brawl, the two men who were assaulted, reportedly returned to the plaza with a group of seven men and attacked those who had helped to nab them.